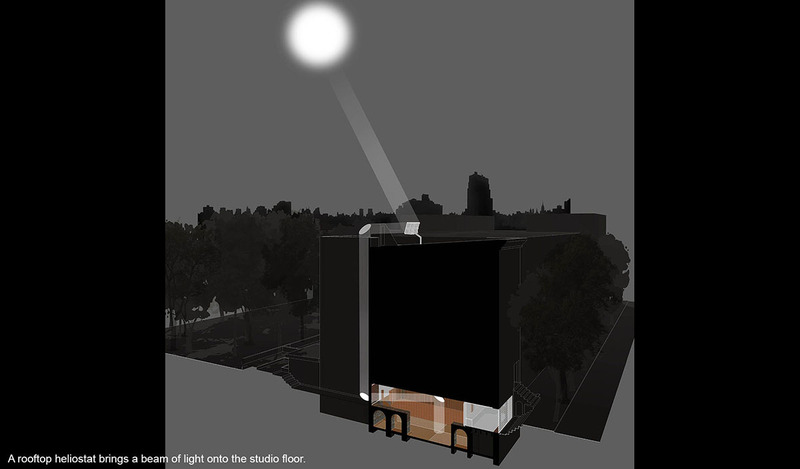 Design is underway for a new recording studio project in Manhattan’s Lower East Side. The owner has asked me to help bring her vision to life of a healthy, safe gathering place for her musical community, with great light and air – in a cellar! I am pleased that she has accepted my proposal to reflect a beam of sunlight from a rooftop heliostat through a series of mirrors to the floor of the live room: simultaneously making a natural gathering point and providing great natural light in a typically dark location.